Karmakanic is a rock band whose music involves elements of progressive rock. The band was founded in 2002 by Jonas Reingold, member of The Flower Kings, together with Roine Stolt, Jaime Salazar, Zoltan Cs?rz, Johan Gl&ouml;ssner, G&ouml;ran Edman, Robert Engstrand, and Tomas Bodin. Their debut album, Entering the Spectra, had in fact been recorded in 2001, and was released on 7th October 2002. The band was founded in 2002 by Jonas Reingold, member of The Flower Kings, together with Roine Stolt, Jaime Salazar, Zoltan Cs?rz, Johan Gl&ouml;ssner, G&ouml;ran Edman, Robert Engstrand, and Tomas Bodin. 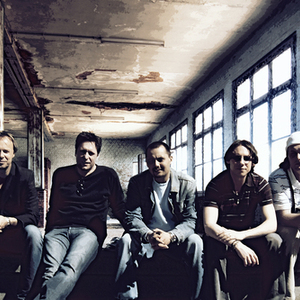 Their debut album, Entering the Spectra, had in fact been recorded in 2001, and was released on 7th October 2002.